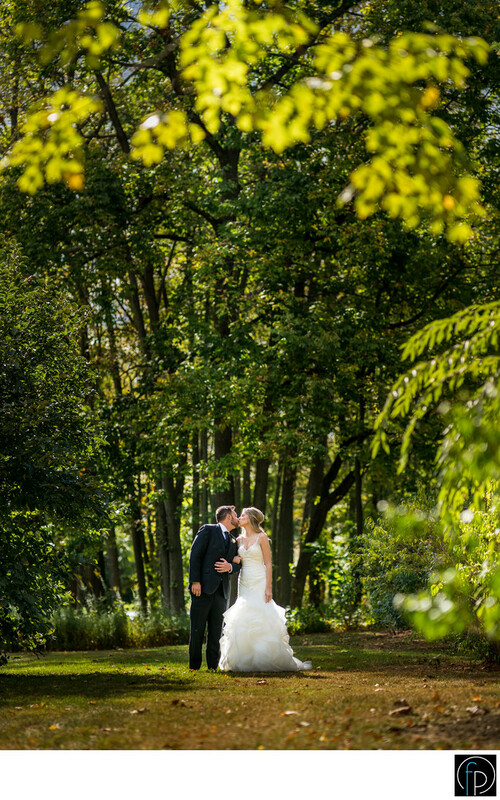 Our newly married bride and groom share sweet kisses in this outdoor wonderland surrounded by magnificent trees at this Radnor, Pa wedding. Located at the Pomme, a Peachtree location, this photograph was taken at one of their many outdoor areas available during your big day. Location: 175 King of Prussia Rd, Radnor, PA 19087.